This fall TemplateMonster marketplace made some noise with a bunch of cool updates including an update of Monstroid2 theme, and now it’s time for another one. Monstroid WordPress theme the one released in 2016 got an ultimate update. It’s all about page builders, as you know these days Elementor is about to become the most popular WordPress page builder ever released. 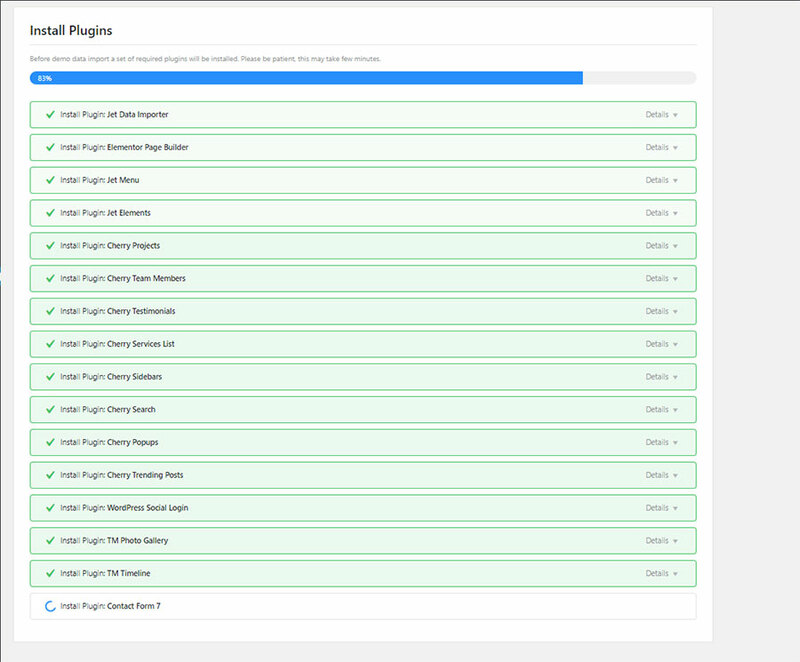 This means that all WordPress themes manufactured should make sure that their product is compatible with this builder. If you want to build a powerful WordPress website you need to be sure that it’s up-to-date and corresponds fully to last design and development techniques. Having Elementor on board of your website means that it’s 100% up-to-date and can offer you tons of amazing features. Why Did We Use Elementor Builder? Originally Monstroid WordPress theme was customized using shortcodes, at that times it was a reasonable and full-proof solution, but now when users are obsessed with simplicity Elementor builder seems to be only solution. Even though Elementor is not the only one builder on the market, it’s so simple to use that even users with minor development skills can easily customize any theme. What’s so Special About Monstroid Theme? Every Monstroid theme owner will get a pack of 20 multipurpose Elementor child themes that can be used as a basis for their website. Check out these demos on the image below. No matter which of these themes you will choose you’ll be able to create on their basis any website, be it a blog, informational website, store, landing page or whatever else. How to Install Monstroid Theme? Let’s check out the installation process of Monstroid theme. As it was previously Monstroid theme begins with an installation of Wizard plugin, an onboarding solution developed by Zemez. After it’s installed activate it. 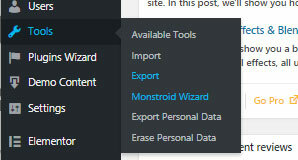 After you’ve installed and activated the plugin let’s visit the Monstroid Wizard in your Tools section, with its help you can install any theme included into the Monstroid package. But first of all you need to prove that you own this Monstroid theme by verifying your order id. After verification step the wizard will ask you if you want to install a child theme or use the parent. After you choose the type of the theme wizard will begin installing the plugins, on this step it will offer either to install all of them or skip to the next step. Plugins installation is in progress. After the theme is installed the wizard will ask you if you want to upload sample content or not if you’re making a clean installation then you can install it if you already have some content on your website you should skip this step. 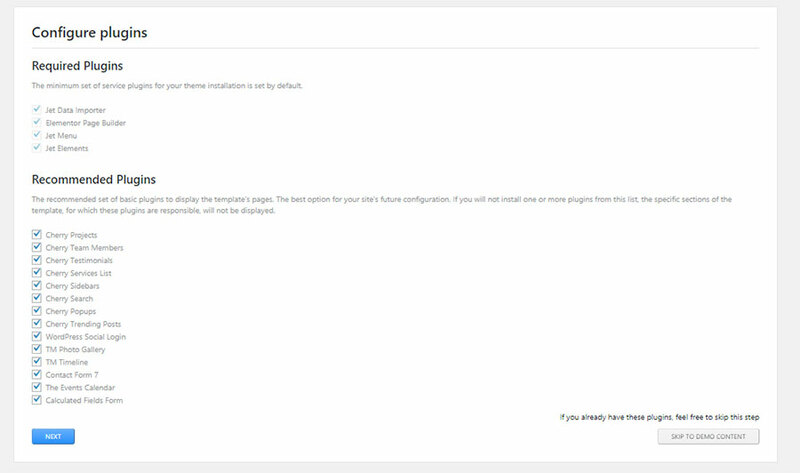 When you see this page, it means that you managed to install successfully all themes components. As I already said Monstroid theme is built with Elementor builder, with its help you can create absolutely amazing layouts or edit pre-designed pages in a few clicks. You can check out these short videos to see how awesome easily you can edit this theme in Elementor interface. How to Build a Store With Monstroid Theme? 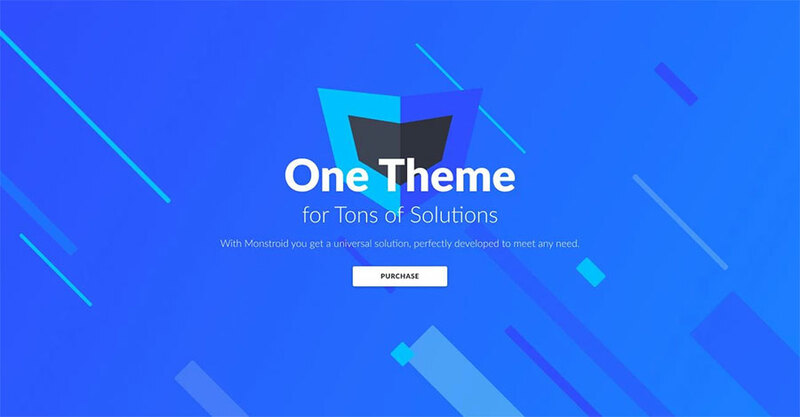 The Monstroid theme, as well as all of its skins, are 100% compatible with WooCommerce, all themes contain a set of pre-designed eCommerce pages, just add your product, payment system and your store is ready to sell your products. Here’s the list of plugins that are installed. The initial set of plugins may vary depending on the skin you choose. 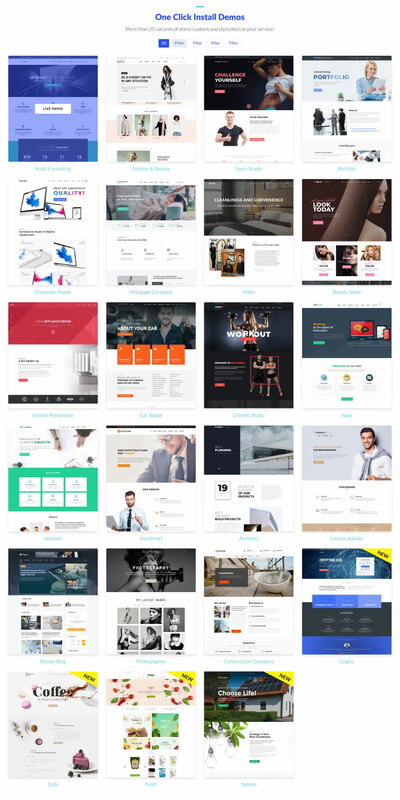 The theme is released under the single site license, the price tag $75, optionally you can buy the developer license which grants you the right to use this theme on 5 domains. Why Monstroid When There’s Monstroid2? Now we’re going to discuss the most important question. If both Monstroid themes are multipurpose and are compatible with Elementor which one should you choose? You know it’s a matter of tastes, the Monstroid2 these is a lot more robust and has one interesting thing called Magic Button. You can find it in the Elementor interface. With the help of this button, you can get access to all sections and blocks from all skins included in the Monstroid2 theme. The button makes you omnipresent thus you can access all skins at once, or one at a time. By accessing all skins you can add any section to any other pre-designed or a new page. This feature is really amazing. Both themes are able to cover all business niches due to their extreme customizability. Which one to choose is up to you. If you something more robust than it’s Monstroid2 if you need something smaller than it’s the Monstroid. Both Monstroid themes are covered by lifetime support and updates. Monstroid2 received updates once every week that include new Elementor sections and skins, Monstroid theme receives monthly updates. Monstroid themes among all WordPress themes are like the Note series of Samsung smartphones, once you try it, you will never be able to quit it. All-in-all you can follow this upgrade scheme – start with the Monstroid theme and when your business scales significantly you can move on to Monstroid2. P.S. When you build your website with Monstroid don’t forget to drop a link in the comments.